This past week, a serious road rage incident turned dangerous and led to the hospitalization of two women and the arrest of one man. The altercation between the two young ladies started near a Walmart parking lot. One driver explained to police that he was backing out of a parking space when a white Honda came speeding past at such a rate that it forced him to slam on his breaks. After nearly colliding with the Honda, the driver became furious and started to scream at the woman driving the Honda. The woman then proceeded to grab her Snapple drink and throw the liquid into the other vehicle. The enraged man stepped out of his vehicle to confront the young Honda driver. The furious woman also exited her vehicle and attempted to punch the other driver. As the man attempted to restrain the woman in defense, a young female passenger from his vehicle got involved. She tried to pull the driver of the Honda off the man, and the two became physical with each other. The driver of the Honda was arrested and charged with simple assault, while the other driver was found to be in possession of both marijuana and hallucinogenic mushrooms. Both women were brought to the hospital and the male driver was brought to jail for drug possession. 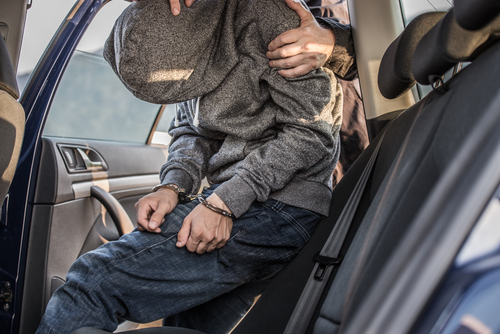 If you’ve been arrested for drug possession, then you could be facing serious legal consequences if convicted. You need a quality legal attorney knowledgeable in criminal defense and drug laws. Your advocates at Rudnick, Addonizio, Pappa and Casazza have over 40 years of experience defending clients charged with criminal offenses like drug possession, but we also specialize in personal injury cases resulting from an assault. Let our firm be your guiding light during your dark hours. Contact our experts at 732-264-4400 or via our online contact form to begin your case.